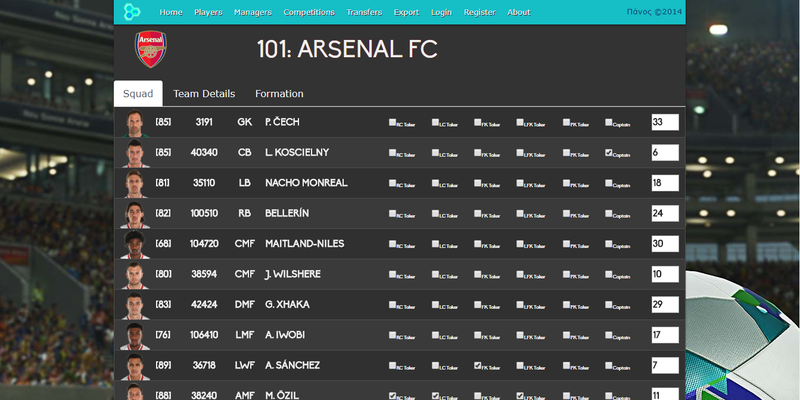 This project is originally created by -Panos- from Evo-Web.co.uk. 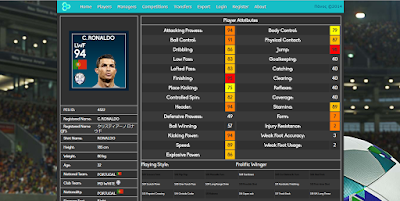 It will help you to edit & manage database of Pro Evolution Soccer. Read some information below from -Panos-. 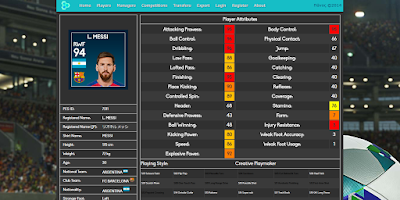 The objective of this website is to allow users to edit the current database of PES (DLC and Live Updates are applied on the default DB every week), and then be able to export their work for both PC and PS4. 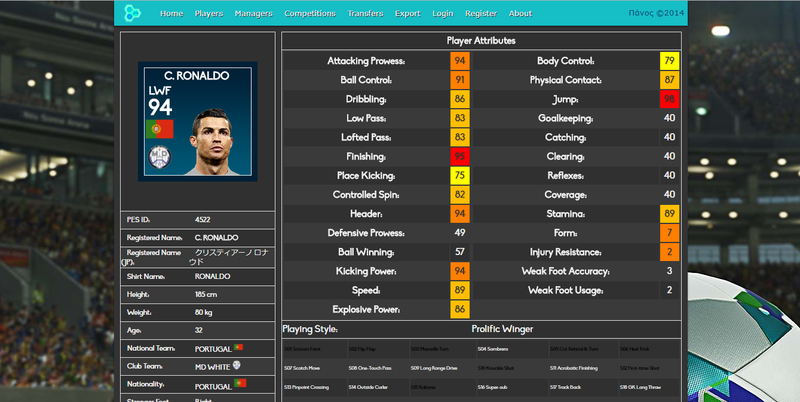 PC can be exported with the use of database .bin files (like Players.bin etc. ), and PS4 works by giving the user a .ted file. In addition, cross year compatibility is also an objective, as for example, if you create the Greek league on my account for PES2018, you want to be able to carry over my data to PES2019, once it's released, with no hassle. 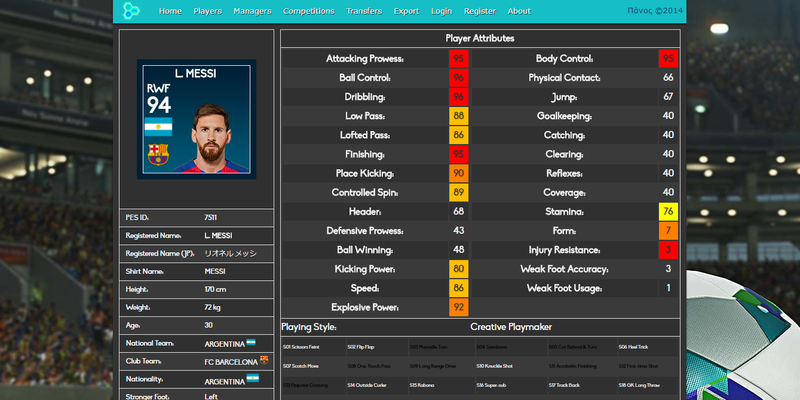 - You are able to create and modify players (appearance included), teams (tactics and formations included), transfers and managers. - You can also add images to any player you want, and then export every image you added into a single pack of images, ready to convert to dds and import in the game. PS4 ted extraction at the moment works by giving you both a .ted file and the logo of the team, however in the future, kit editing and exporting will also be added. - You can work with any set of IDs you want, just make sure it's up to you if you create any errors by using wrong IDs in wrong places.